The writing has been on the wall for a long time. 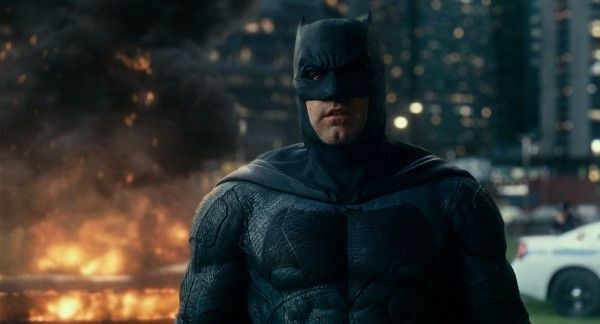 Ben Affleck has hung up the cape and cowl as Matt Reeves’ The Batman (working title) has penciled in a summer 2021 release date. This has been building to this point for years as Justice League failed to deliver at the box office, through no fault of Affleck’s doing. Despite the so-so reception, his performance as Batman was received well and Warner Bros. has bounced back with Aquaman outgrossing The Dark Knight Rises worldwide (who’s laughing now?!). It seems the powers that be have changed course with how they’ll treat future DC films going forward by simplifying their films and making them more self-contained. I like his pitch because all of the films (including Nolan’s trilogy) have leaned into his warrior side. Getting the world’s greatest detective is the way to go and there’s been plenty of stories in the Batman mythos where his mind gets the job done. What to use as an entry point? Picking the right story is also important. Reeves’ film is aiming to take place at a point early on in Batman’s career. It’s not, for all intents and purposes, a direct adaptation of Batman: Year One, Matt would do well to use Scott Snyder’s Court of Owls story arc to introduce a group of villains that’s never been seen before. Here’s the skinny: a secret society that has pulled the strings in Gotham City for decades long before there was a Batman and it forces him to come to terms with the fact that he may not know Gotham as well as he thought. Taking into consideration about Reeves’ remarks about a rogues gallery in his film. Jeph Loeb’s The Long Halloween has a murderer’s row of villains across its 13 issues and Tim Sale’s moody artwork can help inspire the noir tone he’s going for. Grant Morrison’s Arkham Asylum story is another great example for a character-driven, detective story. Rest your minds, Bat-fans. This could end up being a blessing in disguise. Matt Reeves has the right idea to make a Batman movie we’ve never seen before. Expect to hear more details down the road.